The top recruit in the state of Texas, Kentucky commit Tyrese Maxey, was in the spotlight as the No. 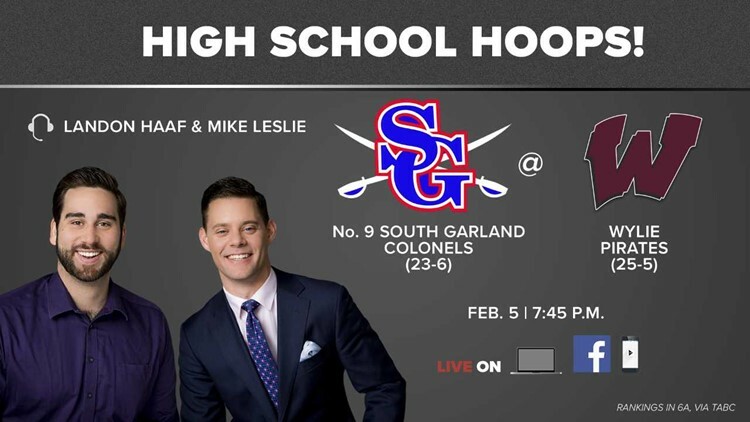 9 South Garland Colonels took down the homestanding Wylie Pirates Tuesday night. After a 14-point first half by Maxey, though, it was Chris Harris Jr., the No. 10-ranked recruit in the state, who carried the Colonels with 16 points in the second half. Watch a replay of the broadcast on the WFAA Facebook page.